I'm delighted to have finished recording a new CD for Maestro Records. It is a 20 track album and will suit both listeners and dancers. It will be available by Easter and can be purchased on the CD'S page soon. I was given this article from the Press & Journal 12th January 2019 edition. It's by Robbie Shepherd and it's written in his native Doric dialect. It was lovely to get a wee mention (highlighted) about the New Years Eve entertainment at Highland Hotel, Strathpeffer. I'll be expecting the odd curtsey and bow now that I've been made a Prince!! I am delighted and grateful to "Box & Fiddle" magazine for a lovely revue of my cd "Scottish Accordion Gems". 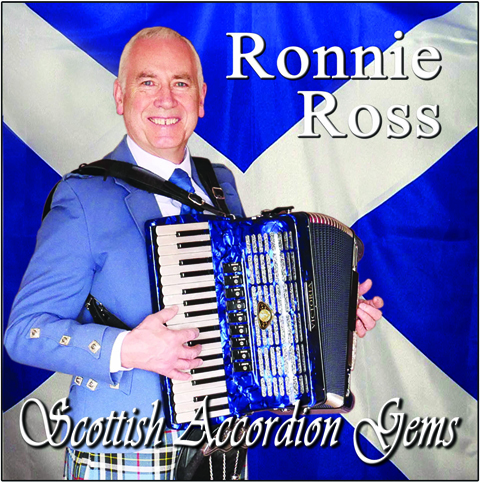 I am delighted to announce that I have just completed a new CD of accordion music. The title is "Scottish Accordion Gems" and it is available now. 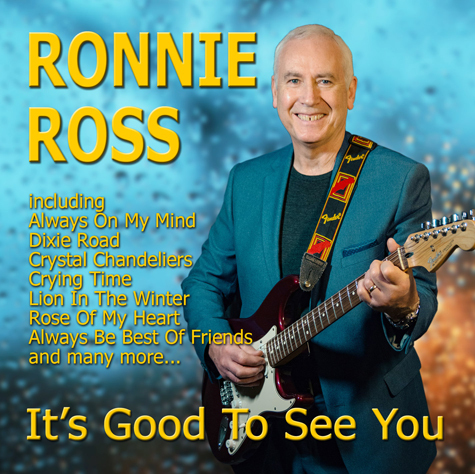 The new CD "It's Good To See You" is now available. Go to the CD's & DVD's page to order it and to listen to the samples of each track. There are 15 tracks, all new recordings and I'm delighted with the way it has turned out. 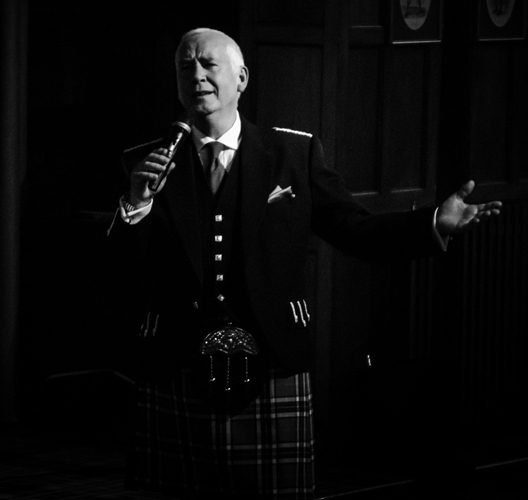 This picture was taken at The Highland Hotel, Strathpeffer by my son Nathan Ross. He is studying photography at college in Edinburgh and I'm very proud of the progress he's making. I have recorded four new sequence dancing tracks for Maestro Records. You can listen to the samples and download the individual tracks at Maestro Direct website. My latest CD for Maestro Records is set for release in January. 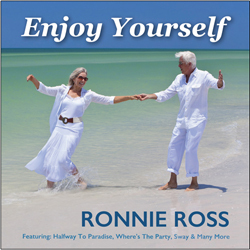 It is a 22 track album titled "Enjoy Yourself", 21 vocal tracks and 1 instrumental. This is a sequence dancing album, however it is great for the non-dancer as a listening CD. 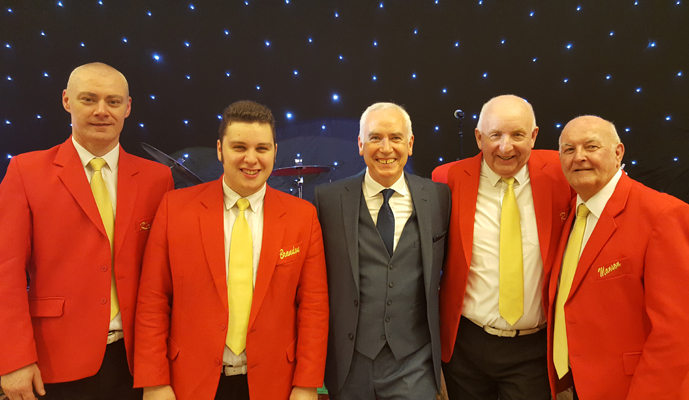 Played at a great event in Aberdeen and enjoyed working with Manson Grant and the dynamos band. Super bunch of guys. 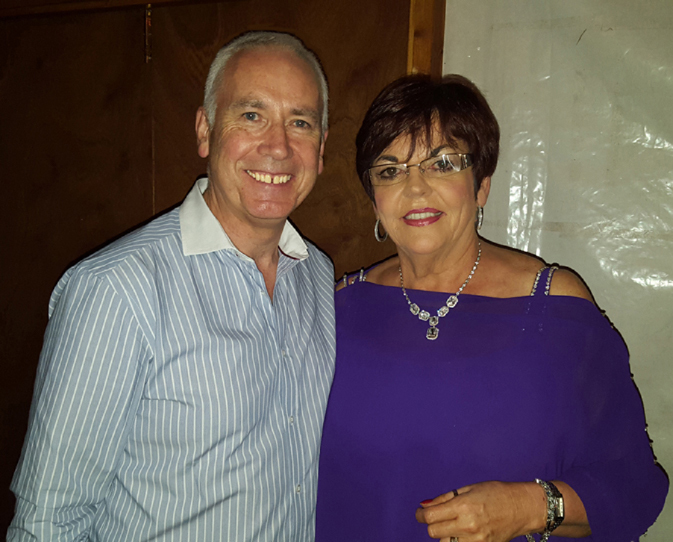 Played at Tain Gala afternoon dance and later got the chance to meet up with Irish Country Queen Susan McCaan. She's a charming lady and a great singer. 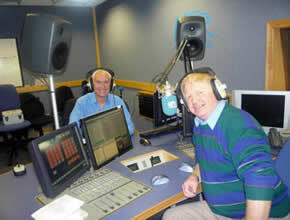 Had the pleasure of working with one of my all time favourite singers last night, Geordie Jack. 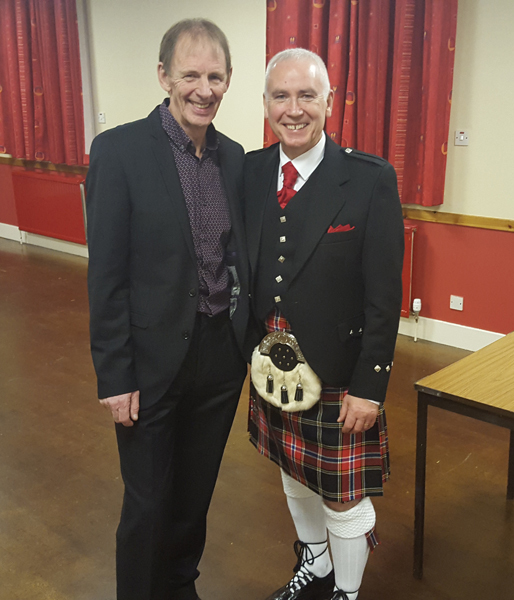 The former Colorado frontman was in sparkling form and I really enjoyed our night in Tain Town Hall. The new DVD, "You're My Best Friend", is finally ready to be manufactured and the release date is set for Friday 11th December. 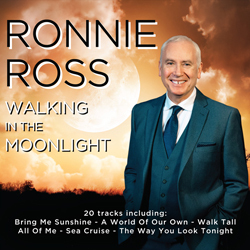 It can be purchased through the CD's & DVD's page and I hope you will all enjoy it. 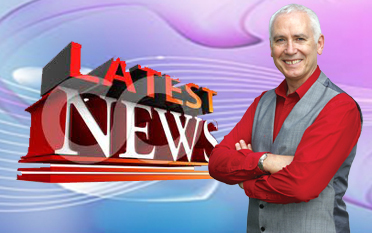 I have begun filming a new DVD. 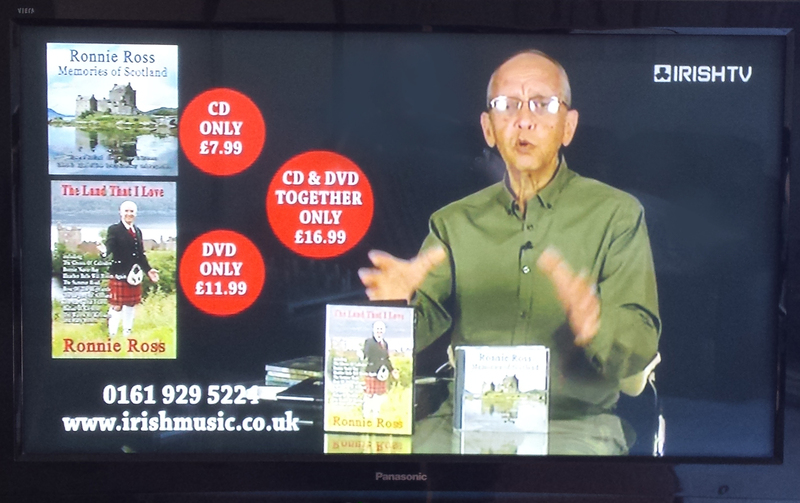 This one will be a "Country" and "Easy Listening" DVD and will not feature the kilt. However, the scenery is still spectacular and I hope that you will love the music as well. If we get a spell of decent weather, I hope to have it complete and out for Christmas. Watch this space for further details. 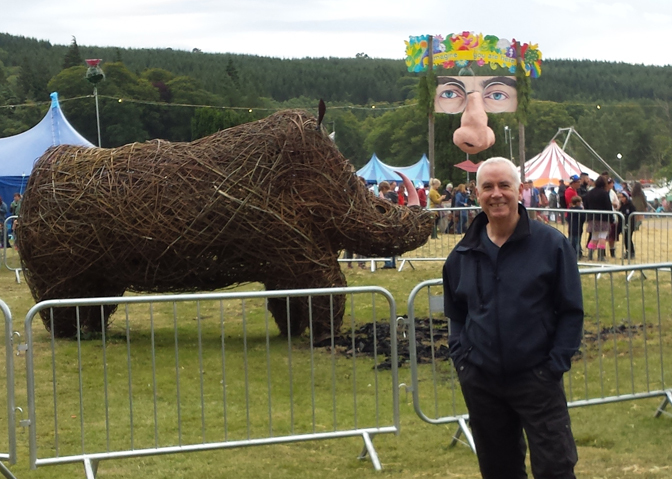 Took time out to attend the wonderful Belladrum Tartan Heart music festival. What an eclectic mix of performers and bands. 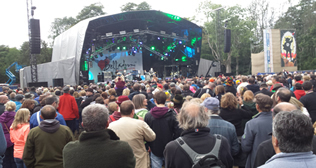 I took in amongst others,The Stranglers, Martha Reeves, Manran,and The Kaiser Chiefs. 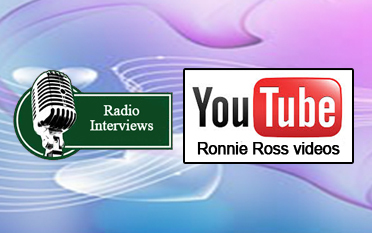 I have a new Facebook page "Ronnie Ross Entertainer" and you can follow all the latest news etc. by giving it a "like". 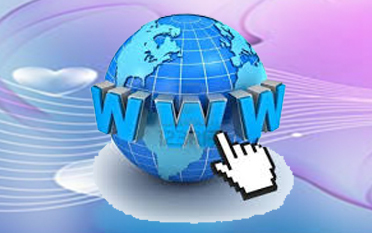 Click on the link below to view the page and please click on "like" to follow me. 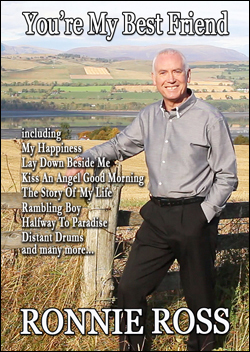 Maestro Records have released the latest sequence dancing CD titled, "It's A Beautiful Day". The CD has 22 tracks, 2 instrumental and 20 vocal, and has a great mix of songs including "country", "easy-listening, pop classics, latin etc. Here is a link to a YouTube video which will let you hear a clip of every track on the CD and the CD is available for purchase on the CD's & DVD's page of this site. 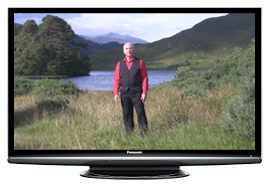 I am delighted to hear that Andy Mack, host of "The Sounds Of Scotland" radio show on Bluewater Radio, Ontario, Canada, has announced his "song of the year" 2014 as being my track "I Wish You Joy (on this your wedding day)". This song is on my CD "Pure Country" and was written by my late father, Stewart Ross.If you click on the picture below of Andy Mack and I, you can listen to the segment of the show where he makes the announcement and plays the song.